The artisanal fishers of the community of Tárcoles, located in the Gulf of Nicoya on the Pacific coast of North America (Central America)-Costa Rica; faced declining fish stocks due to a combination of overharvesting by commercial shrimp boats and unsustainable local fishing practices. At the same time, development of the tourism sector along the coast threatened to restrict access to the shore and to marginalize their work. The local fishing cooperative Coope Tárcoles R.L. was founded in 1985 to confront these twin threats. At the forefront of these efforts has been the development of fishing bylaws that stress sustainable practices, enshrined in the community's 'Code of Responsible Fishing'. 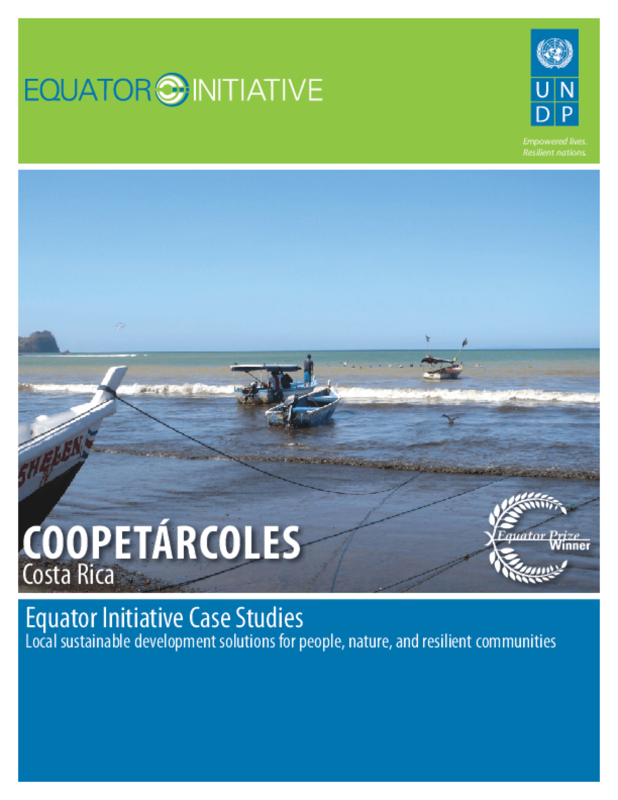 In partnership with CoopeSolidar R.L., the initiative launched a sustainable and community-based ecotourism venture in 2007 to provide an alternative source of income for local residents. In 2009, meanwhile, the group was successful in gaining approval of a community-managed marine area. United Nations Development Programme 2012.